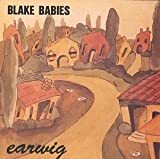 BLAKE BABIES DEAD AND GONE LYRICS"
It was getting cold and I felt like I was drifting away. I really let it cover me. What wasn't always clear to me. I will be free to bury you. I'm giving back the sugar that you offered up. It covers up the ache and the cavity, but it's not enough. I will be free to bury you forever. All that I always thought I knew. They'd be the best things I can give away. All Blake Babies - Dead and gone lyrics are property and © copyright of their respective owners. All Dead and gone lyrics provided for educational purposes only.